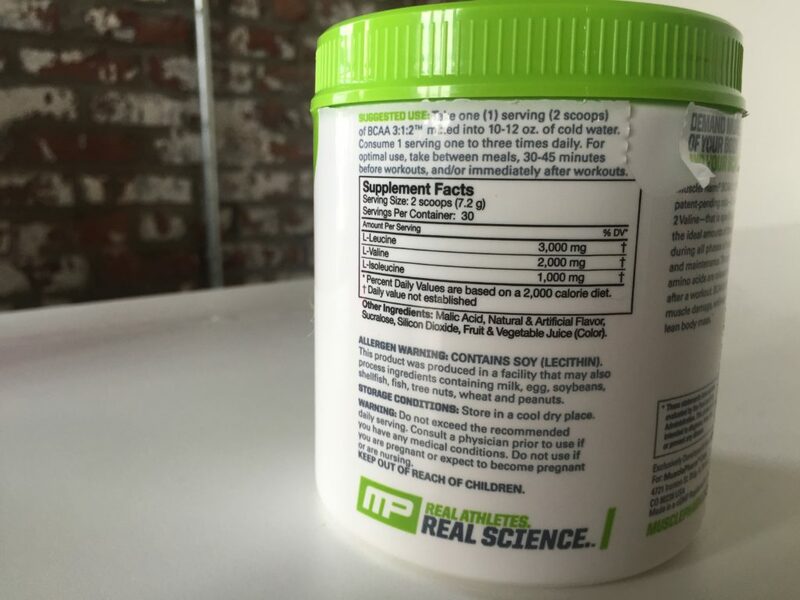 Home » MusclePharm BCAA 3:1:2 Review — Why the Different Ratio? 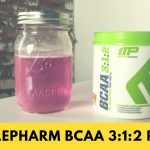 MusclePharm BCAA 3:1:2 Review — Why the Different Ratio? Their branch chain amino acid supplement is called BCAA 3:1:2 because of the unusual decision to use that as their ratio of leucine to isoleucine to valine. Could that make a difference? Let’s take a closer look at the Watermelon flavor. Click HERE to shop MusclePharm BCAA. Unfortunately, there’s no information about the calories or carbs in this product. 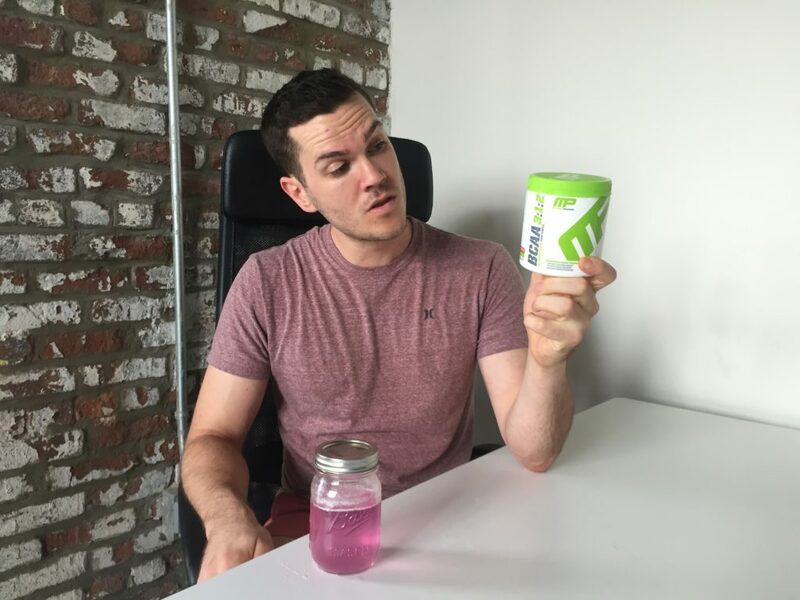 As far as ingredients go, most of the product’s volume (six of the seven grams you get per serving) are comprised of the BCAAs themselves: 3000 milligrams of l-leucine, 2000 milligrams of l-valine, and 1000 milligrams of l-isoleucine. That’s about all the main ingredients, it’s a pretty stripped back product. After that there’s just the miscellaneous: malic acid (for flavoring), natural & artificial flavor, the artificial sweetener sucralose (also called Splenda®), silicon dioxide (an anticaking agent), and fruit & vegetable juice for color. Note that while the ingredients list doesn’t include it, there’s an allergen warning that states the product contains soy lecithin, which improves mixability. It’s also made in a facility that processes mik, egg, soybeans, shellfish, fish, tree nuts, wheat, and peanuts. You can grab a 216-gram tub that provides 30 servings for $19, so that’s 63 cents per serving or 10.5c per gram of BCAAs. There’s also a version of 3:1:2 with caffeine that costs a little extra at 23 dollars, or 77 cents per serving. That really is cheaper than most BCAAs, and on a per gram basis it’s even cheaper than Xtend, one of the cheapest on the market. It’s not quite as inexpensive as BSN’s AMINOx, but the labeling is more transparent — you know what you’re getting with BCAA 3:1:2, you don’t “amino acids per gram” with AMINOx. So, what’s up with this 3:1:2 ratio? It’s true that most BCAA supplements prefer a 2:1:1 or sometimes 3:1:1 ratio. Leucine is the amino acid that’s closely linked to muscle protein synthesis. Preventing muscle breakdown and stimulating muscle growth is probably the number one priority for most folks taking BCAAs. The valine and isoleucine typically follow in equal amounts. Valine has a stronger link with muscular endurance and focus while isoleucine has a better link to fat loss. Note that there’s probably as much isoleucine in BCAA 3:1:2 as in any other BCAA supplement, but there’s a little extra valine. So there’s an argument to be made that this supplement focuses a little more on the performance side of workouts than the body composition side. This product is made in a facility that’s certified by Good Manufacturing Practice (GMP), which is always a nice touch. But it’s worth pointing out that each serving is two scoops, which provides six grams of BCAA. A lot of people aim closer to 7 to 10 grams of BCAA, so you may want to add a third scoop to your shake. Fortunately, the product is free of caffeine or other stimulants that you would need to be wary of if you were increasing the serving. With that said, it does contain sucralose, an artificial sweetener that’s controversial in some circles as it may negatively affect the gut microbiome. There’s well under a gram of the stuff in each serving so it probably won’t have a significant effect on your system, but it’s worth drawing attention to. This isn’t an all-natural product. We tried the Watermelon flavor and it tasted just like candy. What was really surprising though was despite a relatively large serving size and the inclusion of malic acid (which produces that sweet-sour taste that’s so common in BCAAs), it wasn’t overwhelmingly sweet or sour at all, it was pleasantly mild. 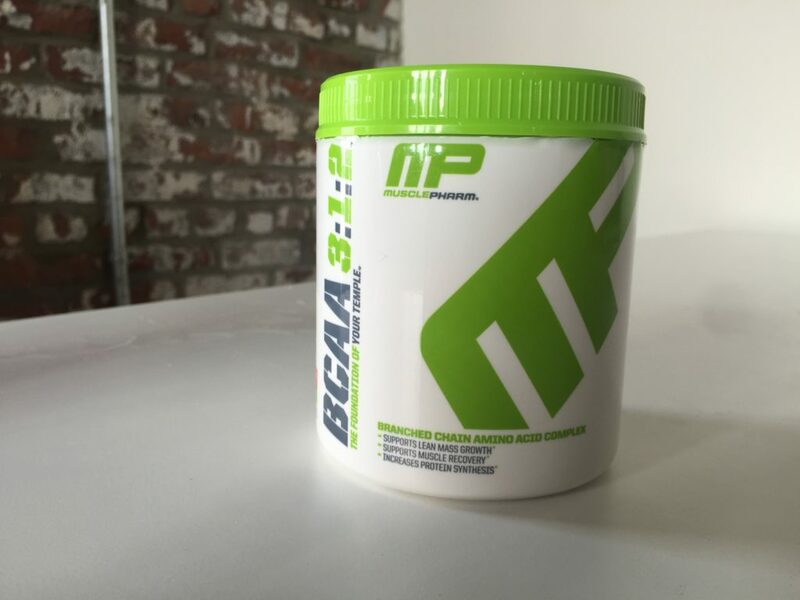 I liked MusclePharm BCAA 3:2:1. It’s cheap, it’s tasty, and it focuses a little more on improving your workout than on improving your fat loss, which some people might like. It does have soy and sucralose, which might put some people off. There aren’t any bells and whistles, so if you like your BCAA to double as a Vitamin D supplement you’re out of luck. But if you just want a BCAA that contains BCAAs and won’t break the bank, this is a good pick. Sorry, if I may know, what capsules are made of gelatin? pig, cow or other? Hey Ikin, this particular product isn’t made with gelatin. When BCAA capsules *do* come in gelatin capsules, the capsules are usually beef and/or pork. It’s not consistent across the industry so I can’t tell you what they’re made of — some are halal, some aren’t, and a rare few are made with vegan material and don’t contain any gelatin at all. In our reviews, I usually get the information from the company, I’d recommend you do the same if you’re unsure. That said, the product will always tell you if the capsules are vegetarian friendly. If it doesn’t, it’s beef and/or pork.